Crank handle surrounds the steel bar, saving the skin on your knuckles when clamping in tight spaces. 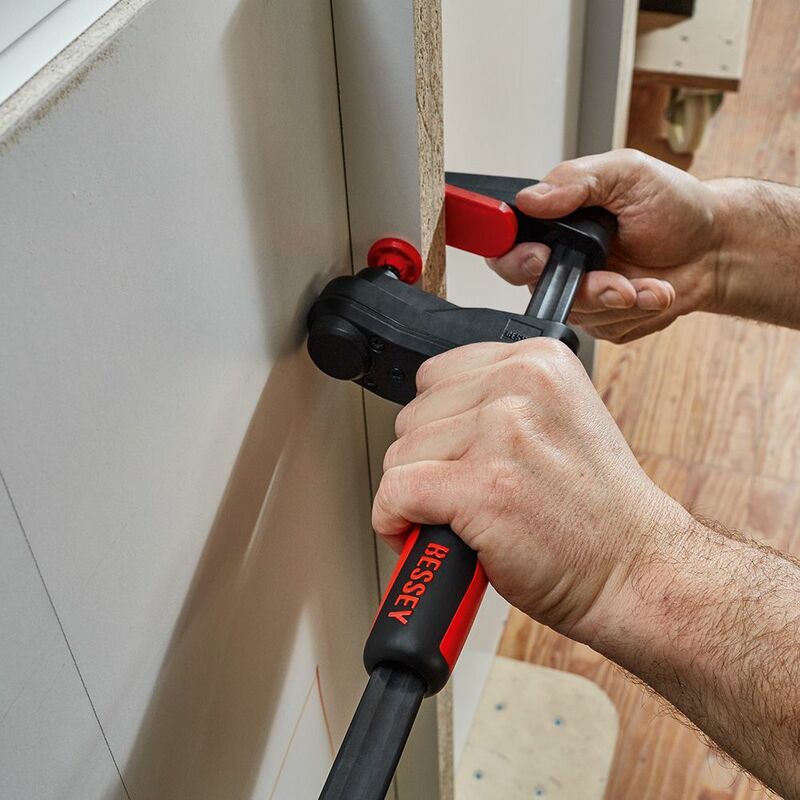 Bessey's GearKlamp boasts all the features and affordability of other F-style clamps, but with a unique twist that sets it apart from the crowd. 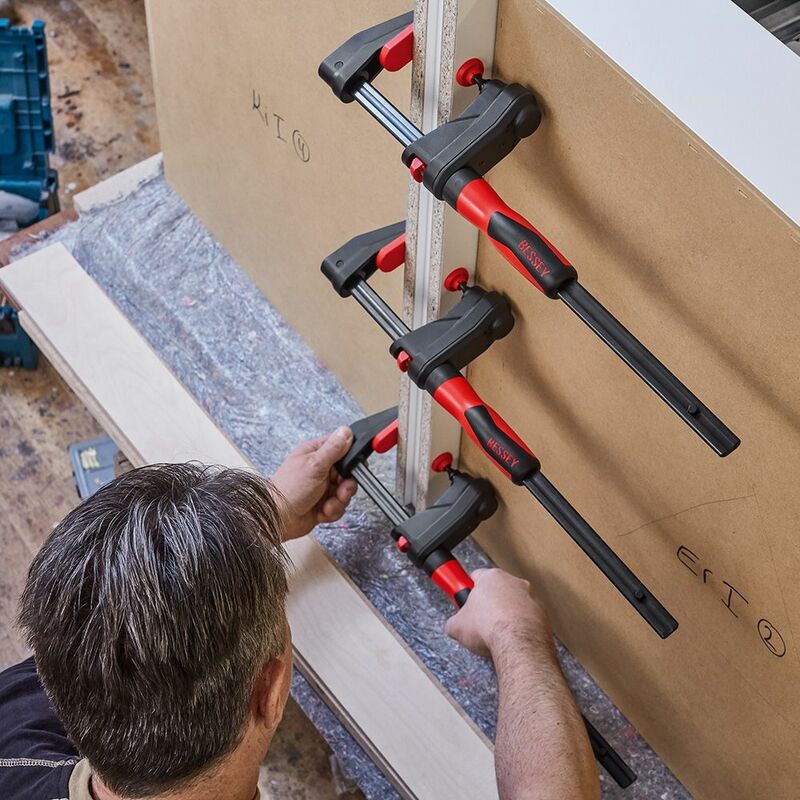 In order to allow clamping where space is limited, the crank handle has been moved from the acme screw to the clamp bar itself. A patented gear train then transfers clamping power back to the screw. 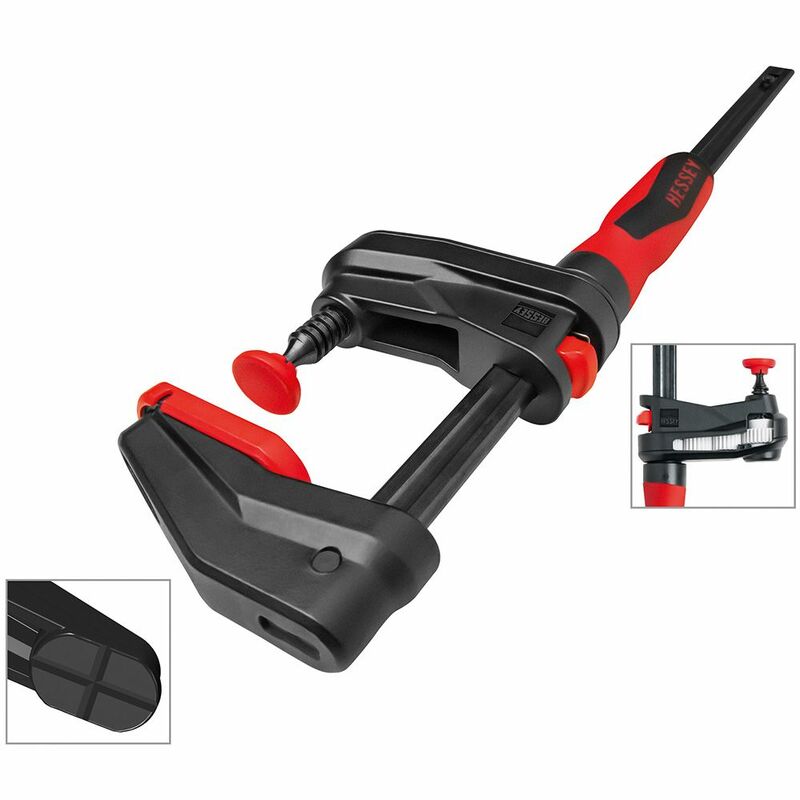 The result is an F-clamp with greatly improved finger clearance and comfort in tight spaces. 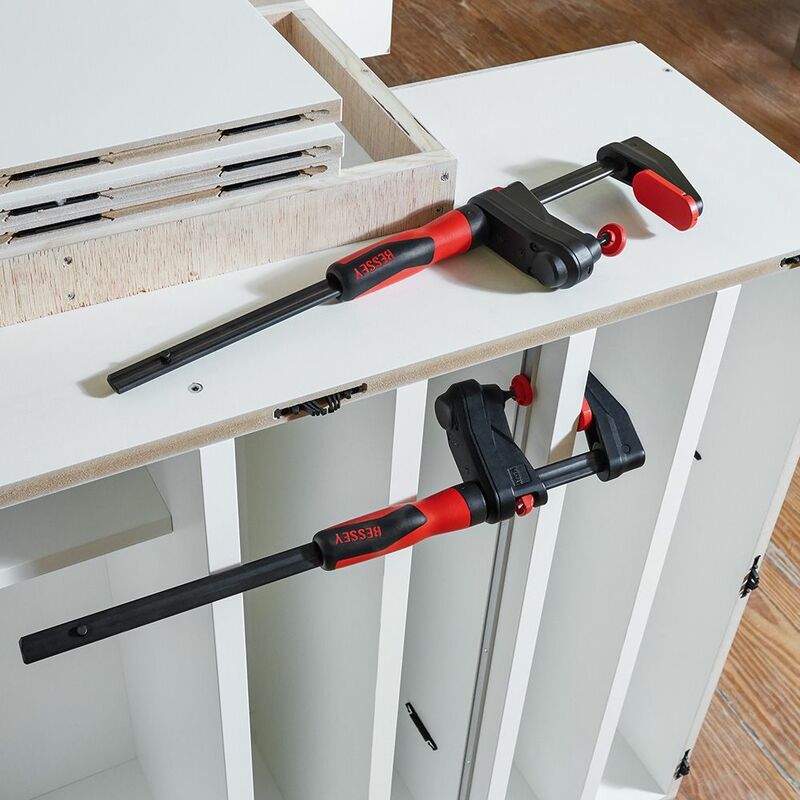 Use them to clamp items to workbenches and shop tables with a narrow overhang, or to reach into narrow openings without having to squeeze your hand through as well. 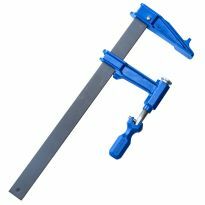 To close the clamp, simply slide the handle up the bar—the internal clutch prevents it from sliding back down. To open, just release the clutch with the trigger. how "deep" ar the jaws?